On May 8, 2018, New Zealand Football announced a landmark agreement to bring equality to elite female and male athletes. The deal provides the Football Ferns, as the women’s national team is affectionately known, pay parity, equal prize money, equal rights for image use and parity across travel while representing New Zealand. As one of the first nations to promote such a plan in football, the Federation’s progressive stand positions it as a leader. Riley will lead New Zealand into its fourth consecutive FIFA Women’s World Cup this June in France, where Football Ferns will wear kits that celebrate New Zealand’s endemic silver fern. In Māori legend, the silver fern represents strength, resistance and power. These traits relate to the unique underside of the tree’s fronds that reflect under moonlight, creating something akin to a natural nightlight. Thus, they have been celebrated for guiding travelers. On the New Zealnd 2019 Women’s World Cup home and away kits a near photo-realistic graphic of the fond features on each sleeve, creating a clean and modern aesthetic. 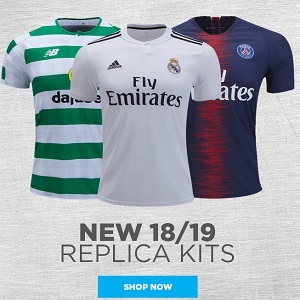 The New Zealand 2019 Women’s World Cup home and away jerseys will be on sale at at World Soccer Shop, UK Soccer Shop, Lovell Soccer, Pro:Direct Soccer, Subside Sports and Kitbag.